Climate change presents a large, complex and seemingly intractable set of problems that are unprecedented in their scope and severity. 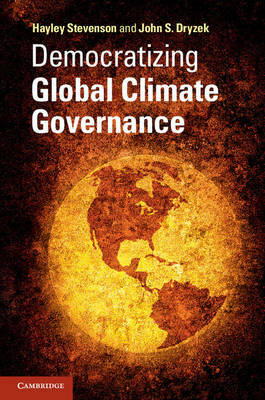 Given that climate governance is generated and experienced internationally, effective global governance is imperative; yet current modes of governance have failed to deliver. Hayley Stevenson and John Dryzek argue that effective collective action depends crucially on questions of democratic legitimacy. Spanning topics of multilateral diplomacy, networked governance, representation, accountability, protest and participation, this book charts the failures and successes of global climate governance to offer fresh proposals for a deliberative system which would enable meaningful communication, inclusion of all affected interests, accountability and effectiveness in dealing with climate change; one of the most vexing issues of our time.